Facial programs for men at He Clinic in Bangkok Thailand. 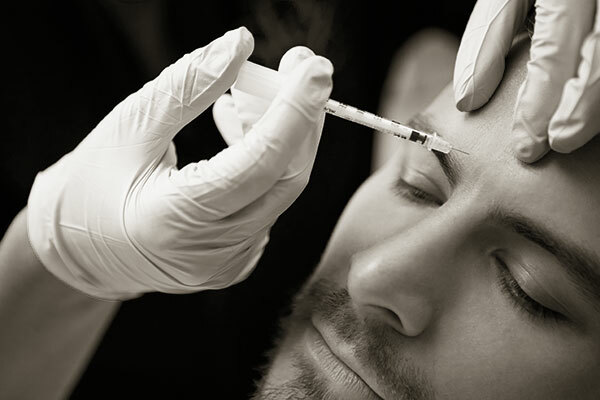 According to the American Society of Plastic Surgeons, over 400,000 U.S. men received Botulinum injections in 2014. In 2002, Botulinum Cosmetic became the first FDA-approved product to temporarily improve moderate to severe frown lines. In 2013, it became the first and only FDA-approved product to temporarily improve moderate to severe “crow’s feet”. Research shows that 93% of people who have Botulinum injections are happy with the results and amazingly that increases to 95% after 5 years. So it seems Botulinum does work for most people and is approved by the FDA. The treatment is very effective at treating frown lines and crow’s feet around the eyes. Blepharoplasty correcting defects and aging around the eyes. An Aesthetic plastic surgery procedure for correcting defects, deformities, and disfigurations of the eye region, with the excision and the removal of excess skin and fat, and the reinforcement of the corresponding muscle and tendon tissues.